Lemons are packed with nutrients, including calcium, potassium, vitamin C, B-complex vitamins, iron, magnesium, and fiber. With so many healthy properties, it makes sense to bring them into your daily routine! Read on for three reasons to begin each morning with a glass of warm lemon water, and a recipe to get started. 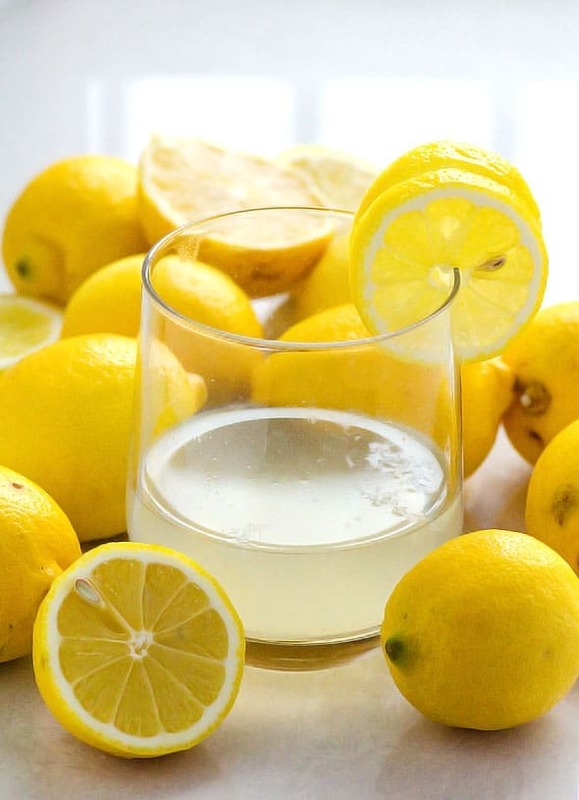 A glass of warm lemon water in the morning will stimulate digestive enzymes and the bowels to kick-start your metabolism and help you eliminate waste smoothly. It can also help treat indigestion issues like bloating, heartburn, burping, and constipation. The anti-bacterial and anti-viral properties of warm lemon water help your body fight illness and infections. Lemon contains antioxidants that help eliminate toxins from the body, and is a rich source of Vitamin C which protects the body against immune deficiencies. Lemons are also alkalizing; they'll stabilize your body's pH balance which helps keep your immune system strong and ward off disease. The fresh lemony scent will start your day on a good note, and Vitamin C is a natural stress reducer. Lemon juice provides your body with energy when it enters your digestive tract, making it a healthy alternative to caffeine in the morning - no jumpy nerves or afternoon crash! To reap the greatest benefits from your lemon water, drink a glass warm first thing every morning. Enjoy it on an empty stomach so it can kick-start your digestive system for the day. Add boiling water to mug, stir, test temperature, and enjoy!